Jododaira is a flat area which is 1,600 meters above sea level and surrounded by mountains of the Azuma Mountain Range 2,000 meters high. 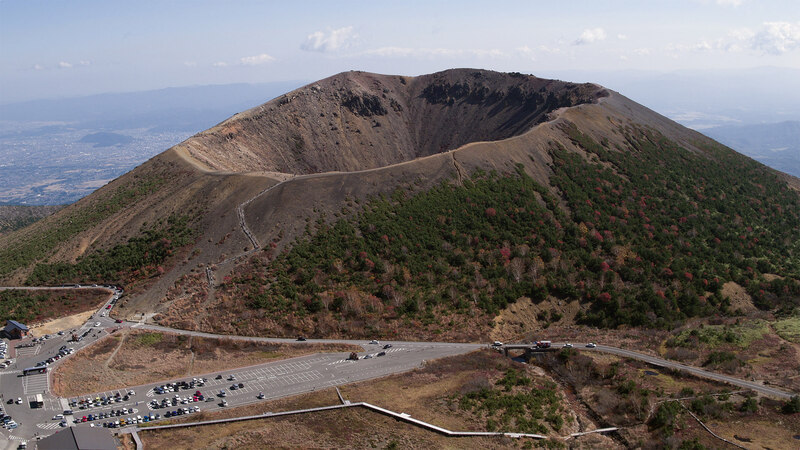 It’s in the middle of the Bandai-Azuma Skyline, a tourist road which is closed in the winter, and visitors can easily enjoy the nature of a subalpine. A popular spot in Fukushima where trains are known to run slowly in the autumn leaves season for viewing. Visitors can enjoy the brilliant autumn leaves from their windows through the valley which continues 15 kilometers. A waterfall called Kagobano-taki looks beautiful just like a Japanese painting. 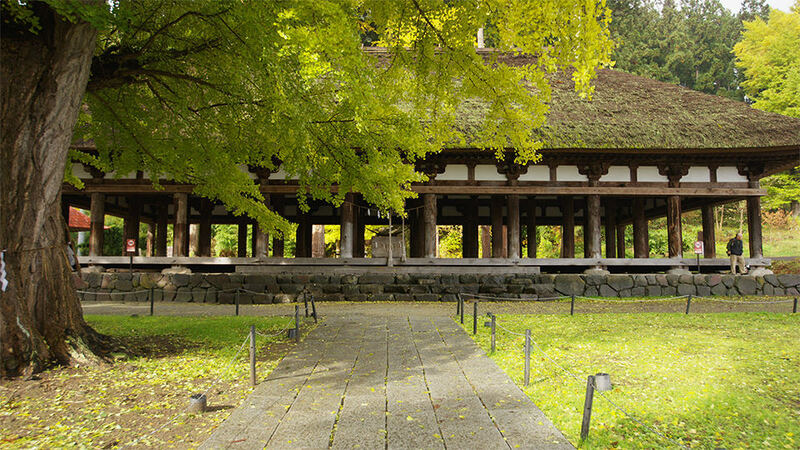 The Nagatoko, a national cultural property, is a hall of worship built during the end of the Heian era with 44 pillars without any walls or doors. The 800 year-old large ginkgo tree inside the shrine beautifully turns yellow in late autumn. 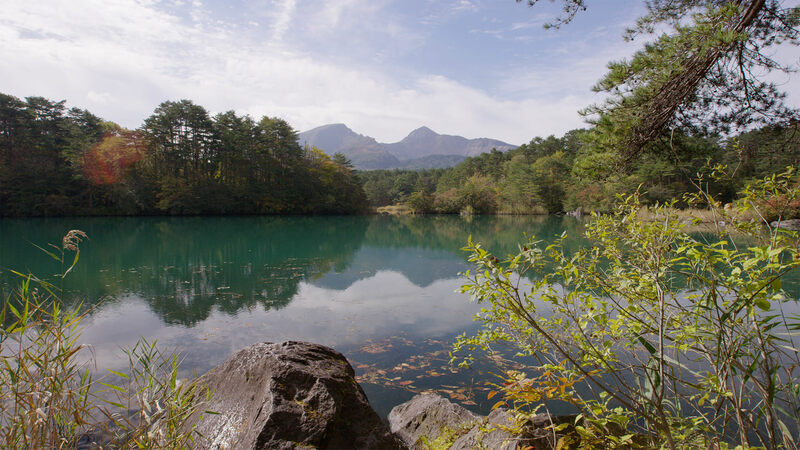 Goshiki-numa is a group of various-sized swamps on the north side of Mt. 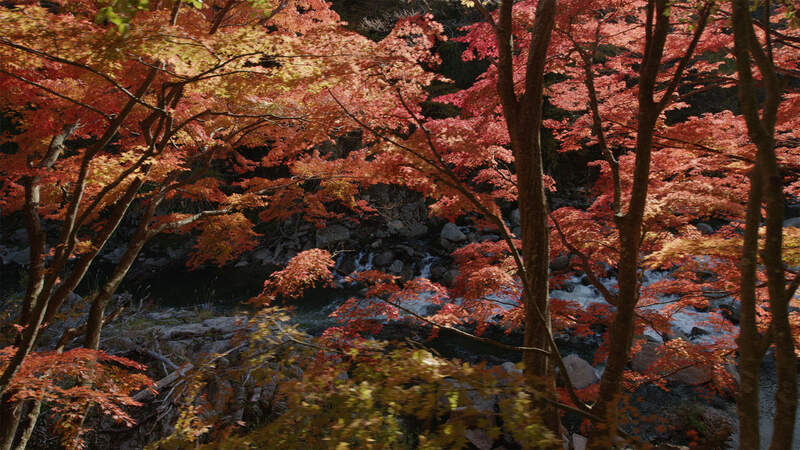 Bandai, and was named “Goshiki (five colors)” because of its changing colors depending on the time, location and angle. The dynamic variation of colors is like a gigantic natural work of art. 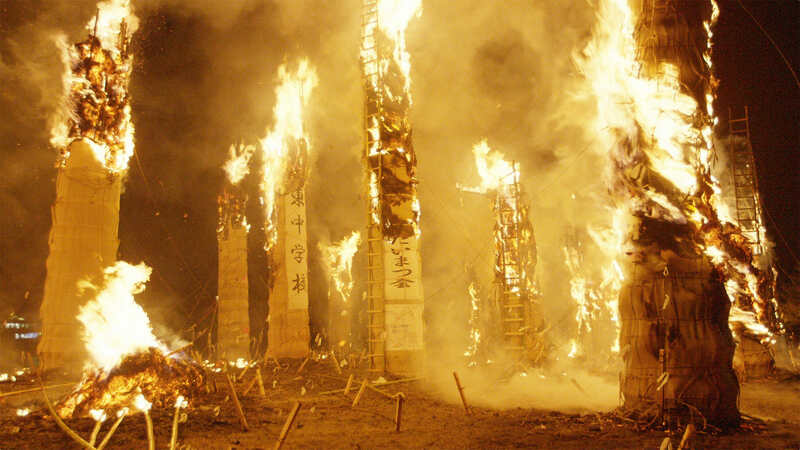 Sukagawa Taimatsu-akashi is one of the three main fire festivals in Japan and has a history of 400 years. 150 young men carry a 10 meter long torch, which weighs 3 tons, around town. The sight of the fire burning under the late autumn sky is well worth seeing. With over thirty houses with thatched roofs along the roadway, Ouchijuku preserves the atmosphere of a post town during the Edo era. 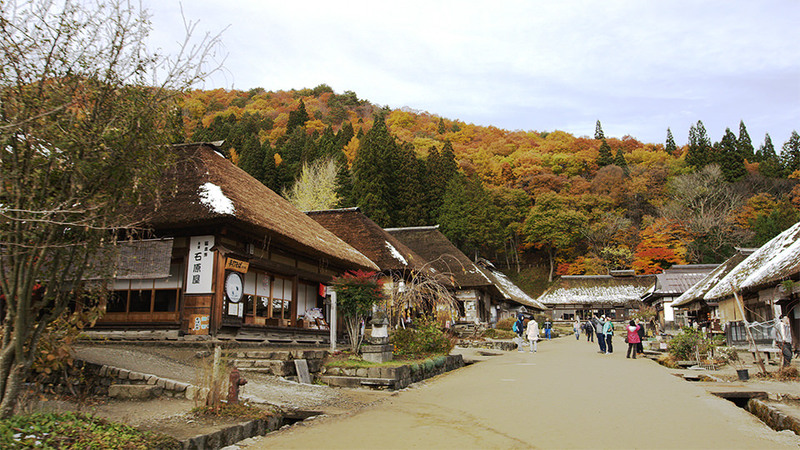 Many Japanese people feel nostalgia seeing thatched roofs along with the autumn leaves. The negi-soba, which is a local cuisine, is also delicious.